Chevrolet will be using the event for the official public debut of the 2014 C7 Corvette Stingray, which goes on sale in the UK next year priced from £61,495. The car will form part of the Classic Corvette Club stand, where enthusiasts will be celebrating 60 years of the USA’s most iconic sports car. The C7 will also lead the opening parade lap of next week’s Beaujolais Run, of which Chevrolet is a partner, in celebration of the model’s anniversary. The Beaujolais Run is a navigational shootout through a cryptic checkpoint course, which begins at the Royal Automobile Club’s Woodcote Park and ends in deepest Burgundy. The Run attracts an impressive array of teams each year piloting vehicles from everyday road cars to supercars, and aims to provide 'money can't buy experiences' to its participants, as well as raising money for worthwhile causes. 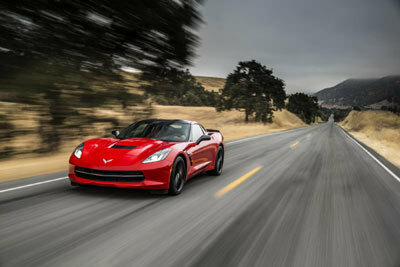 For more information on Chevrolet or the all-new Corvette Stingray go to chevrolet.co.uk.